The Scottish Government has pledged an extra £20 million of funding to the V&A museum outpost in Dundee, a year after costs for the Kengo Kuma-designed building doubled to £80 million. The new deal is part of a £63.8 million financial package for the development of the city's waterfront, and is hoped to provide the last remaining funding gap for the long-delayed project, which is now due to open in Summer 2018. "Today's announcement is the key to unlocking increased funding for one of the most exciting and innovative projects currently going on in Scotland," said Ken Guild, leader of Dundee City Council. "The V&A is already creating jobs and injecting money into Dundee's economy during the construction phase and generating a halo effect by attracting significant private investment," he continued. The Scottish government already pledged an additional £10 million to the project after its cost rocketed from £45 million to £80.11 million early last year. Charitable organisation the Heritage Lottery Fund also pledged a further £4.5 million towards the cost of the building to help cover the increase – in addition to the £9.4 million it awarded the project in 2014. The spiralling price tag heavily delayed construction, which finally commenced in March 2015. However, both Dundee City Council and V&A Dundee ensured The Scotsman that there had been no further increase to the project cost since then. Kengo Kuma and Associates won the 2010 competition to design the V&A Museum of Design Dundee, which will be the museum's only other outpost in the UK. Despite gaining planning approval in 2012, the winning proposal had to be amended a year later in an early bid to prevent escalating costs. The design, which originally sat the building in the River Tay, was adapted so that only its prow projects out over the water. 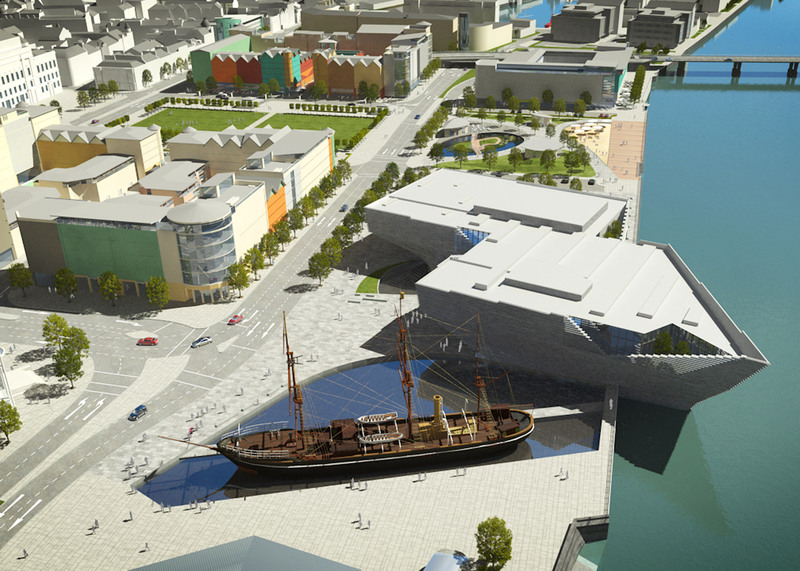 At the time, museum director Philip Long said the move would "strengthen the connection between the river and the city centre", but also that it would give "greater certainty with regards to the building schedule". The V&A is also backing a Fumihiko Maki-designed museum in Shenzhen, which is planned to be China's "first major museum of design".